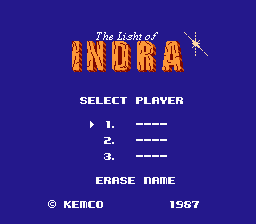 Indra no Hikari is a role playing game for the Nintendo Entertainment System. The Light of Indra is an RPG that mixes Dragon Quest-like turn-based combat with Legend of Zelda like exploration. 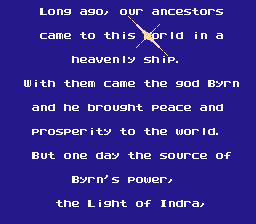 It is about a planet Ival which was run by a god name Byrn. But Ival fell into evil once Byrn fell asleep. 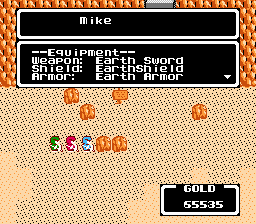 For being a very early console RPG (and maybe one of the earliest on the Famicom with backup RAM saving), its story is a little strange. This is a beta patch. 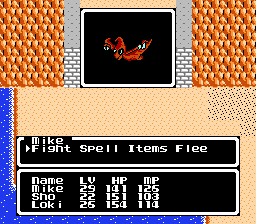 It should be fully playable but the author is uncertain about some translations, particularly the enemy/spell names. This patch is meant to be used on a pre-expanded ROM. Use a program such as NFlate to expand the PRG-ROM from 128KB to 256KB (or use a hex editor to manually insert the extra 128KB just before the last 16KB of the original ROM data).